Verbal Jint Kicks Off This Year with a "Good Start"
Verbal Jint, one of the godfather’s of the Korean underground hip-hop scene, recently released his latest single “Good Start,” featuring Kang Min Hee of Miss $, and continues to work that charm of his that somehow turns heads away from the mainstream. 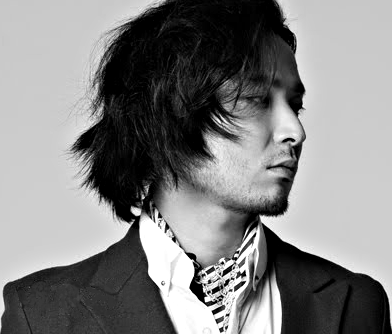 Verbal Jint officially debuted back in 2001, and since then has been featured in several songs and has released three full albums, as well as a handful EPs. This soft rolling number is all about starting over with the right foot forward. The music video might trick you into believing two lovers are having a difficult getting over each other, and I suppose that is sort of what’s going on, but not exactly. Though the lyrics might suggest two people are trying to grow apart, the production seems more about two people walking away from old stories in search of new ones. The more serious edge in this MV is the idea of self reflection, which I suppose is what the start of the new year is a bit about. We can see both Verbal Jint and his female lead lost in their own thoughts, almost a bit down trodden about starting off the new year alone, despite all the good vibes around them. Like many lost souls in search of something serene, they head to the waterfront to calm some harsh nerves. As the seconds of this MV wind down, I think it’s safe to bet something else is off to a good start. The production itself was easy on the eyes and on the ears, and though I hate to call it dull at parts, it was kind of dull at parts. The story circling around in there was an interesting take on starting over, but it seemed too one note, so to speak. Not that I don’t think it didn’t match the flow of the song–an even melody like this one deserves a peaceful music video. But I don’t think this MV made the song stand out in the ways it should. A little more edge or a little more drama may have been enough to really illustrate the depth of emotion in this song, but it failed to appear. Lee Min Hee’s velvety hooks perfectly offset Verbal Jint’s delivery of the verses to create a balanced harmony that channels a little more RnB and Soul than I would’ve expected. If you’re looking for an easy listen packed with heart, then “Good Start” is where you should start. But maybe not with the music video, har har. Love the song. MV, not so much. What do you guys think of the Verbal Jint’s latest? Let us know!